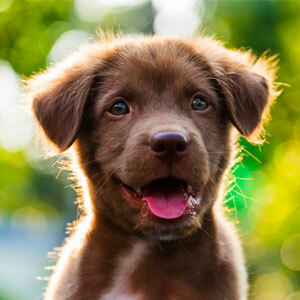 Housebreaking, biting and more… everything you need to know to survive the early days with your new puppy. Puppy rearing is both exciting and exhausting. When your little bundle first arrives it is important to give him a few days to acclimatize before you start asking much of him. Puppies under 12 weeks are going to need a lot of sleeping. This is essential to his development so provide a safe place such as a crate or puppy pen. A proper introduction to the crate will make for a lifetime of enjoyment. Dogs rarely develop separation anxiety if they love their crate. Housebreaking is usually the first order of business. You must accept that it is your job not the puppies to pee outside. He is dependent on you to give him access and opportunity to relieve himself in the right place. Expect to take him out every 30 minutes when he is active. Most puppies will hold their bladder a little longer when sleeping. It is advised to “chart” both his voids and bowel movements so you have an idea of his needs. Get the whole family in on this as it can save you a lot of grief in the end. Also, expect his schedule to change a few times until you have reliably taught him to go outside. From the “Scoop and Poop” to the “Indicate” stage you will have had many changes. Biting is usually the next concern for puppy owners. During their development pups will use their mouths constantly for different reasons. It is critical that you and your family understand the various motives behind his mouthing, biting or gnawing on stuff. As all babies need to pacify to soothe themselves a puppy will do this typically when he needs a nap. Sometimes you will think he is being defiant with his biting when he is actually trying to communicate his needs (bathroom, sleep, play or hunger). If you feel everything has been taken care of but he still persists with inappropriate biting it is possible he is still learning how to properly interact with humans. Biting is such a natural form of dog play that when you get frustrated or angry with your new pup it sends the wrong message. Teach him a gentle command so that he learns bite control rather than total bite inhibition. These first few weeks of pet ownership will require a lot of patience and kindness. Your little puppy has gone through some serious changes. It is going to take time and positive direction to make him understand your expectations. Try using the no “No” approach. Redirect, instruct and preventive methods are the best techniques to build a bond that will last a lifetime. 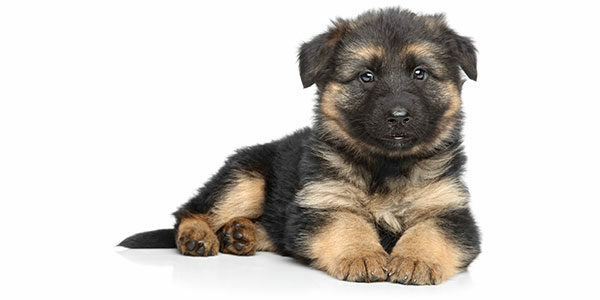 Use the guide below to successfully navigate these common puppy behavioural issues. Puppies need to chew! Unfortunately this natural behavior will get them into trouble. Leaning which items, within reach, are considered taboo will depend on your dog’s sensitivity level. While some softer dogs can be persuaded with a little verbal scolding others appear to have way more back bone. Taking a teaching not correcting approach will keep everyone’s blood pressure in check! It is necessary to learn both bite inhibition and bite control. Both will take time. Expect 4 months of training before you can confidently feel the pup understands your request. Bite control means his teeth can touch your skin without breaking through. Bite inhibition means they never put their teeth on. A dog with a strong prey drive needs to learn chase control. Any dog that is triggered by the movement of a squirrel, rabbit or butterfly remains a risk of hurting himself or others. All too often pet owners don’t see this behavior developing and it becomes full blown out of control before they seek help. It is also important to note some dogs react to noise. Many unsuspecting owners have been jolted forward by their dog’s charge at a passing motorcycle. All dogs must accept being restrained at some point in their life. Too many situations escalate because a dog doesn’t allow being controlled. Teach them that holding still while you investigate their ears, eyes and mouth is a wonderful thing. Taking this positive approach will convince them it isn’t a challenge but rather a normal part of their daily routine. This is a necessary and easy command to teach. By using a positive method the dog will learn it is not restrictive or corrective. It can be used and improved throughout the lifetime of the dog. Training a clear understanding of every command will increase trust, respect and compliance. This command is best taught throughout the day when you give your pup items. The positive connection to giving him wonderful things will be the foundation of your relationship. The wait command is still considered one of the most important commands. When your dog has a perfect wait he is manageable in every situation. It can be used at doorways, on walks and for sudden stops in emergencies. The word you use to teach the recall command isn’t as important as the meaning. The dog should believe that when you call him it is in his best interest. Don’t let your dog develop selective hearing by making it negative. Dog’s are intelligent and quickly learn subtle differences in the way you act. An angry, frustrated owner is clearly not a welcoming sight. The sit command is pretty straight forward. Most puppies learn it easily. This is usually due to our being taller than them and offering them a yummy treat. Having an adult dog who reliably sits is a different story. The down command is more detailed than the sit. It should be taught along- side a release command for greater reliability. Use this command for controlling, calming and reducing excitement when anticipating something fun like a walk. This is a great command for daily use. Try using it every time you send the pup into the house, car or even his crate. By conditioning the dog to respond to “inside” every time he goes through a doorway you will discover the ease at which to train. Say it as it’s happening not before. Interested in receiving more information like this? Subscribe to our free newsletter for articles, training guides and more exclusive content.